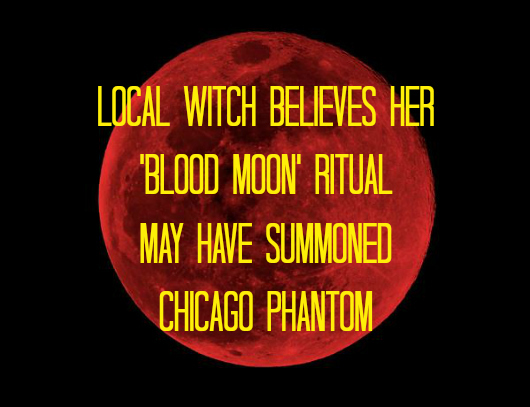 A practicing witch in Chicago, who wished to have her name withheld, is concerned that a ritual performed by her and her partner during the September 2015 blood moon could be at least partially responsible for recent sightings of a bat-like flying humanoid in and around the city. 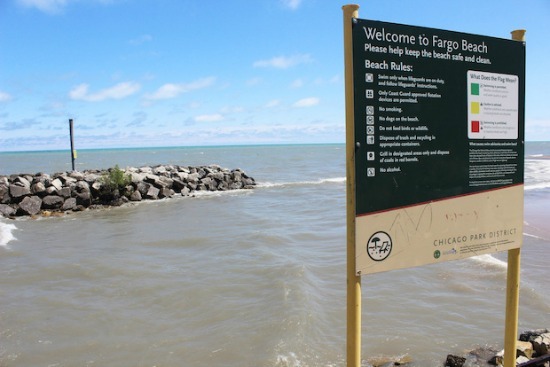 The ritual, held on the shore of Lake Michigan in Chicago's Fargo Beach Park, was initially planned to honor the lake and moon, but was at the last minute switched to a kind of summoning, she said. The spontaneous impulse came as a sort of feeling in the air, according to the witch, who described a sense as though "the veil between worlds was becoming permeable." "I guess if people around Chicago start seeing monsters, then we'll know it worked," she recounted quipping to her partner. The ritual ended up being meant to open a door between another reality and this one, and despite having a memory of dark, shadowy things seemingly pouring out of the doorway during the ritual, she said she didn't feel that the ritual was negative; although she did concede that the memory of murmurating shadow beings could have been a confabulation caused by the ecstatic state achieved during the ritual. "I wasn't traumatized by the ritual itself," she said. "It was a beautiful experience." The remains of the doorway drawn on the park's concrete break wall reportedly remain, but due to rising lake levels are only visible after wading a short distance into the water. The words below were originally written around the door, and are still visible, she said. MAY ALL BE ALWAYS WELCOME. The witch stated that her reason for coming forward was out of concern for the well-being of both the witnesses and any entities involved. "My concerns are with people being traumatized, and the well-being of the entity," she said. "A lot of people are being traumatized, and the idea that I might somehow be responsible hit me really hard." "The relationship a city has with its monster is important." She recommended that anyone concerned about flying humanoid sightings in their vicinity leave a token or offering to the entity to establish a relationship, and that showing empathy is important. "I think that they're here to help us, and that they need help."